Why install one of these? It will also give you a reassuring indication that your WI is working correctly. It will also help you to size the WI jet, so that you fit a suitably sized nozzle. Why am I interested in knowing the temperature? Compressing air results in the air temperature rising. Remember pumping up your tyres on your bike when you were a kid, and how hot the pump got? Well, a similar thing is occurring when the turbo compresses air. So, turbo charging results in the intake temps rising. 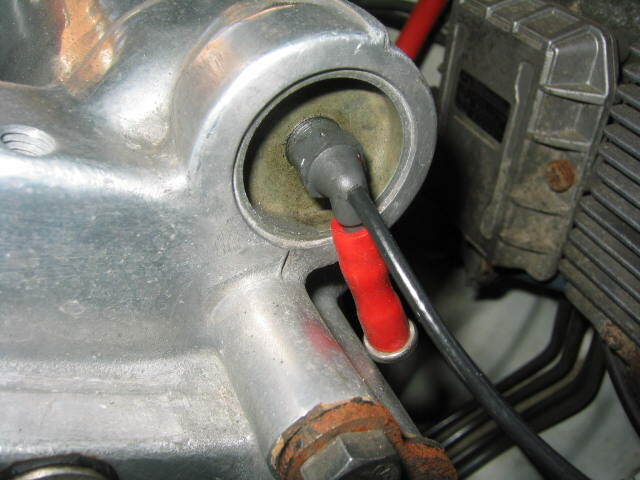 An intercooler will reduce these temperatures, and can be assisted with the use of Water Injection. If the intercooler cannot sufficiently cool the intake temps and they rise beyond a "safe" temperature then there is a real risk that the mixture entering the cylinders can be ignited prematurely, resulting in detonation - click here for an article on "det". What is a "safe" temperature? Hmmmm...debatable. In my humble opinion 40oC is a reasonable temperature to aim for, and should be fine. Temperatures exceeding 60oC are bad and should be avoided, (in my opinion of course!). What sensor have you got? Is the sensor any good? Yes, been on the car for 18 reliable months. The sensor is small and robust, (unlike other examples I have seen), and the screen is large enough to see, but small enough to mount in numerous locations. The temperature reading also appears to be accurate. Ok, anything else to consider? My primary consideration was to fit this directly in the air path and after the IC and after the WI nozzle, to see the effects of WI and the temperature of the air charge entering the cylinders. There's not much point in placing a sensor in a blocked off hose or placing it in an area that's not directly in the air path, is there? You just won't get accurate readings. The temperature range is ~-10 to 70oC and reads is 0.1oC increments. The refresh time of the screen for temperature change is more than adequate. How did you fit it? You aren't going to like this...in short I removed the intake manifold and drilled and taped a hole for it...bear in mind the point I made above. This article is intended as a helpful guide as to how I fitted an intake air temperature monitor. If you are in any doubt, or not qualified, do not undertake this modification. Always consult a qualified mechanic.